As we know, we need to buy a SIM card from mobile carrier in order to make phone calls or send text messages. The fact is that each mobile carrier employs different technology for its wireless service. Thus, some of the carries lock the phone to protect the phone from being used with other service providers, which means even you inserted a new SIM card to the phone, it will not work at all. This will be a very bad thing if you travel to another country. So in such a case, unlocking SIM card is an urgent thing for you. Typically, there are two ways to unlock Android SIM card for now. One is asking the service operator. Well, this is the best way to do that and it is not a joke. However, not all of them are willing to help you on this matter. And they are a lot of requirements listed on their website and you are only qualified to use SIM unlock service once all the conditions are fulfilled. 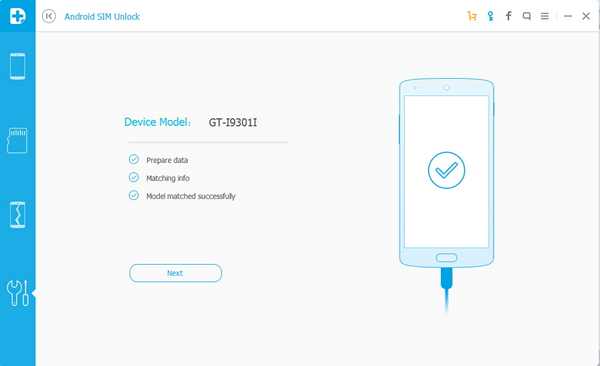 Anther way is using Android SIM Unlock software. The two methods will be demonstrated clearly in the follow parts. If your phone is locked, you can get in touch with the operator who locked the phone. This is the first choice we should consider. In order to unlock the SIM card of your Android phone, you must first obtain IMEI number, which is the unique identifier to your phone. You can find this code by typing *#06# on dial pad. Alternatively go to Settings -> About Phone -> Status -> IMEI. Then give this IMEI code to the operator. If they found you eligible to the service, then you will receive a PIN code soon. Then you can use the code to unlock the phone once a new SIM card being inserted. However, sometimes carrier does not want to give you the unlock code for certain reasons. If you found out your Android phone is locked with a particular operator, and they are not helping you with that. The first thing you should NOT do is go to Google Play and try to unlock the SIM with some apps. These services have a very poor reputation and most likely frauds. You need to look for a reliable service or software that makes this operation in safe place. It is very difficult for you to choose the best because you can't tell which one is good or bad. 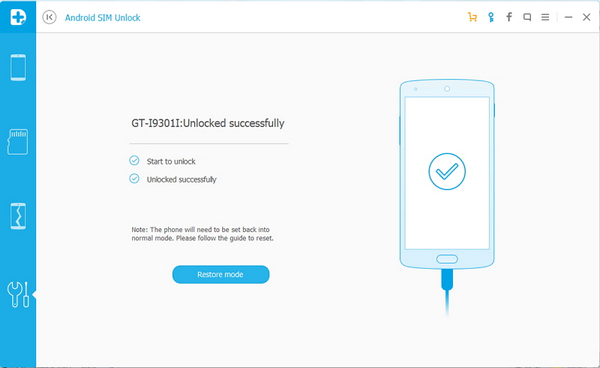 To make your search easier, we recommend a better solution to unlock Android SIM card: Android SIM Unlocker . It is a legal and safe method to unlock Android SIM card. What is more, SIM unlocking is only a feature of the program, you can find several other useful tools such as data backup and restore. If you have deleted important files unintentionally on the phone, the program will be a great help to recover the lost data. To unlock Android SIM card, please just follow the steps below. Download Android SIM Unlocker by clicking the above button and install it on your computer. 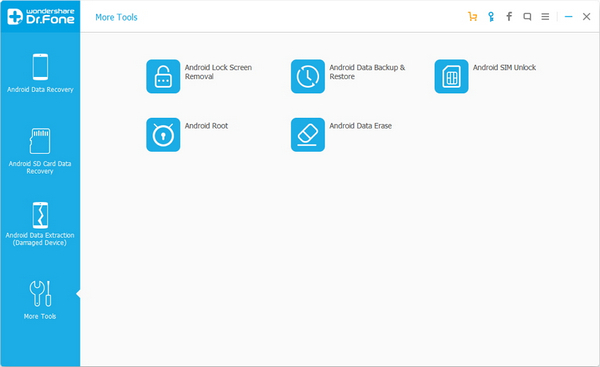 Launch the program and you will find the option "Android SIM Unlock" in "More Tools", which is displayed on the left sidebar. Note: Please don't disconnect your phone from the computer during the whole process. 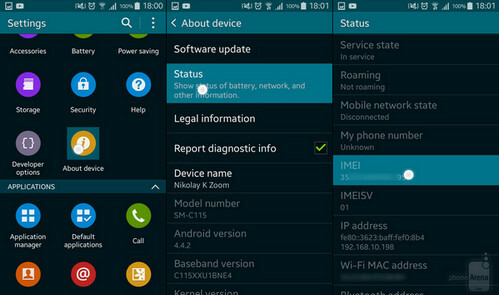 Turn on USB Debugging mode on the phone and connect the phone to computer with USB cable. 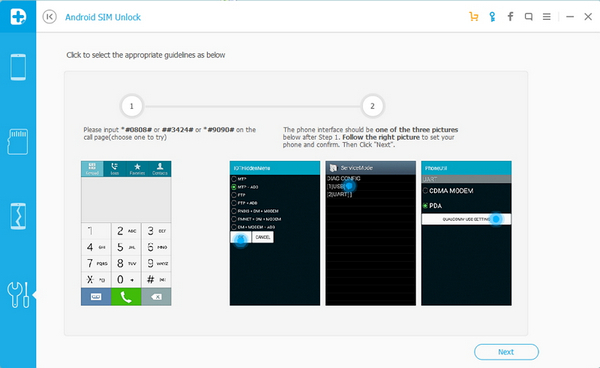 The phone will detected automatically by the program, just click "Next" and follow the instruction on the screen. You will see on the screen that you need to get the phone into "Service Mode". Now, open the dialpad and enter one of the codes: *#0808# or ##3424# or #9090#. One of them should work your phone. After inputting this code, you will automatically enter the "Service Mode". Now on the "Service Mode", you have to select DM + MODEM + ADB or UART[*] or CDMA MODEM from the menu. When you have selected the options properly, just click on "Unlock". Then the SIM card unlocking service will be initiated and it will be done in a few minutes. Once the phone was unlocked successfully, click "Restore Mode" to get back the phone to normal mode. Dial: *#0808# or ##3424# or #9090# on the phone and select MTP + ADB or USB[*] or PDA from the menu. Then just click "Next" on the program, your Android device will go back to its normal mode. For now, you can insert new SIM card without any limitation. 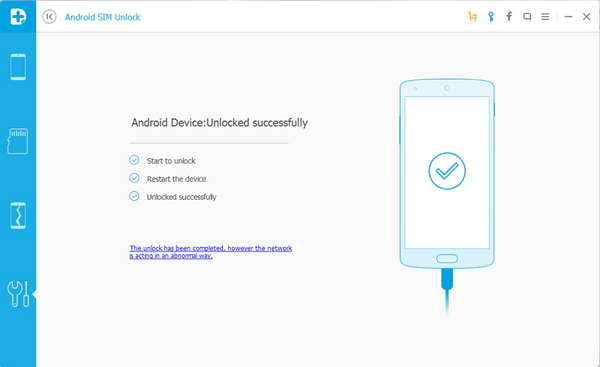 For new Android devices powered by Android 5.0 and later, you should root the phone first. Then connect the phone to computer and launch Android Data Recovery on the computer. Now click "Unlock", the phone will be unlocked in a few minutes. The whole unlocking task is done in background and you don't need to type anything on the phone, which is much easier than the above method. In the end, Unlock Android SIM Card is not a simple task but with Android SIM Unlock, it's not complicate either. However, we request you to carefully consider the pros and cons of this SIM unlock process. And don't give your phone to anyone who claims to help you unlock the phone. According to online community's feedback, there are a lot of scams in this kind. Please be careful. One more tip: what is to do if your Windows computer locked by hackers? You can easily unlock it with the assistance of Androidphonesoft Windows Password Recovery tool.